-Give customers the deals they want on the products they want. -Attract new customers who spend new money. -Retain loyal customers who spend more money. -Share in new marketing revenue. We'll provide all the hardware, software and services to get you up and running quickly. We'll provide all the tools required to build that 1-to-1 relationship for all your loyal shoppers. 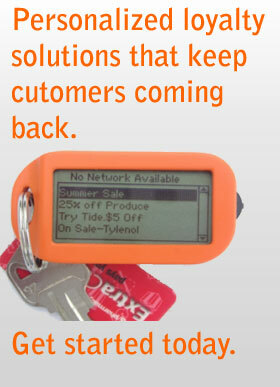 For more powerful functionality, we can work with you to electronically redeem and fulfill offers.